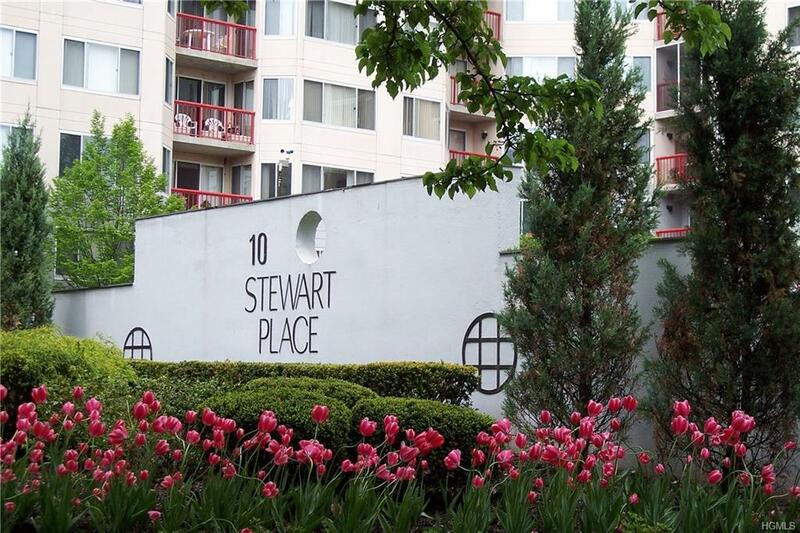 Welcome home to 10 Stewart Place a Large and spacious two bedroom corner unit with Den and 2 deeded parking spaces.Unit features washer and dryer in the unit and balcony with 2 access doors and storage unit. This amazing luxury building provides 24 hour concierge, rooftop pool, fitness canter, penthouse entertainment room with kitchen and fireplace bring you friends. Pet friendly (weight Restricted). Close to all White Plains has to offer, shopping great restaurants and a great transportation system. HOA includes basic cable. Listing courtesy of Kenneth Sposato of Bhg Rand Realty.